This is the next in this series which was begging to be done. Still 7 graduating fabrics from Gelato from the Elite fabric line. 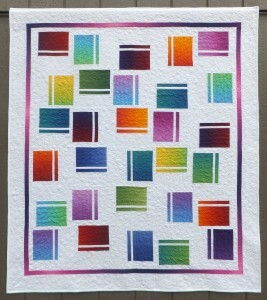 This entry was posted in Pieced Quilts, Uncategorized and tagged Beginner by . Bookmark the permalink.